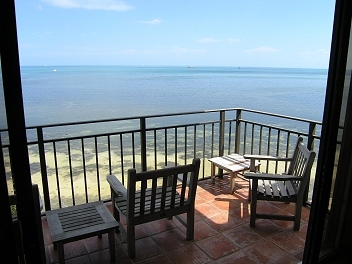 Enjoy the luxurious accommodations of Key West's premiere condo. This spacious oceanfront villa offers a full kitchen and room for six. Wrap around balcony over looks the Atlantic ocean. Sleeps six comfortably, ocean views from all 3 bedrooms. Large living room, dining room, and fully appointed kitchen.